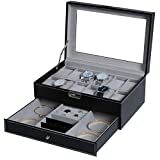 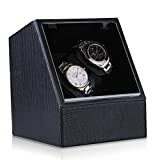 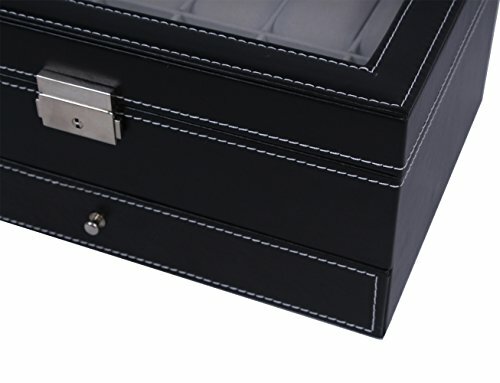 FIRST-CLASS CRAFT:It’s made of black faux leather, grey soft velvet lining and 12 removable pillows, the jewelry display box is protect your watch from damage and scratch.. 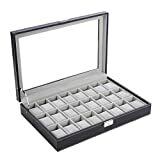 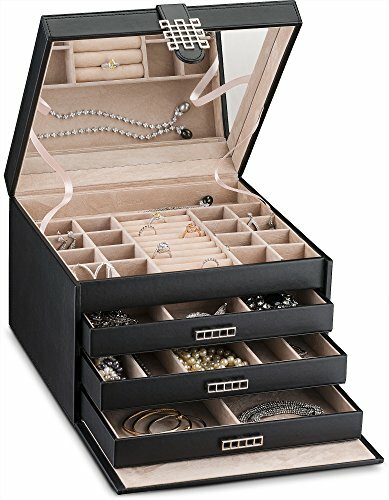 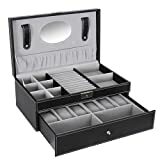 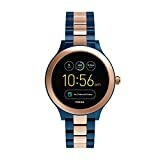 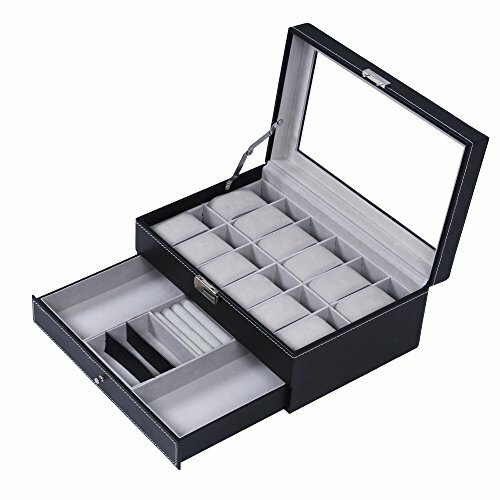 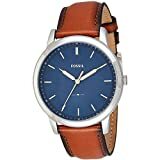 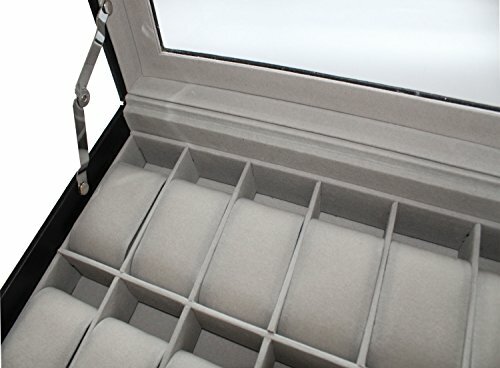 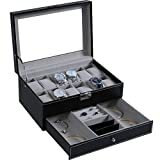 DOUBLE LAYER DESIGN:The top layer offers 12 watch slots with removable velvet pillows; The bottom layer is jewerly box for necklaces,bracelets,earrings,rings,brooches cufflinks, sunglass,and other jewelry. 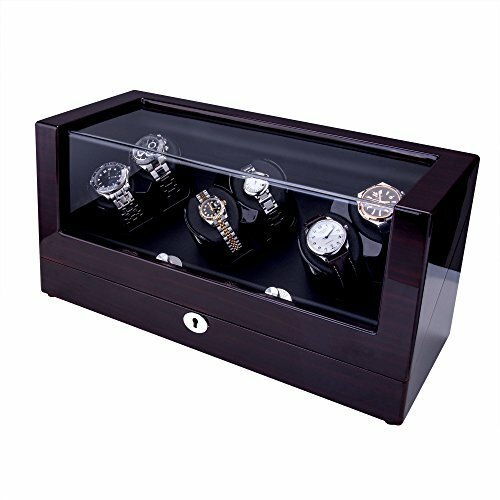 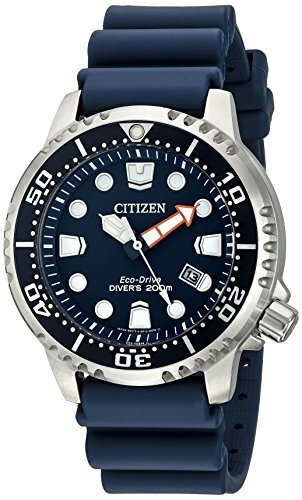 LARGE REAL GLASS LID:The top clear glass not only protects your watch from dust, also offer an open view to choose your beloved watch. 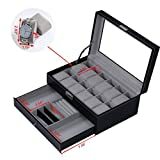 GOOD GIFT IDEA:Elaborate appearance and convenient design, the watch case organizer is good for personal use, store displays. It’s also best gift for your family,friend,colleagues and other people in your life. 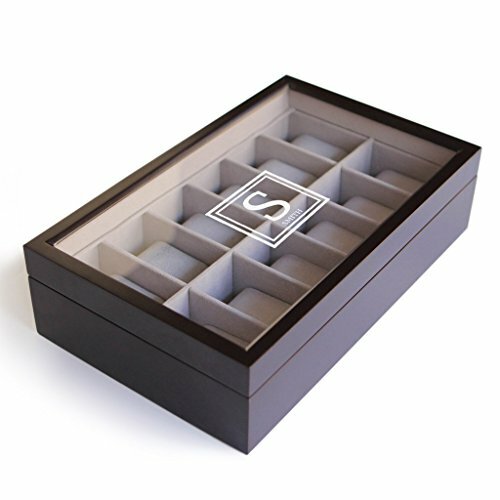 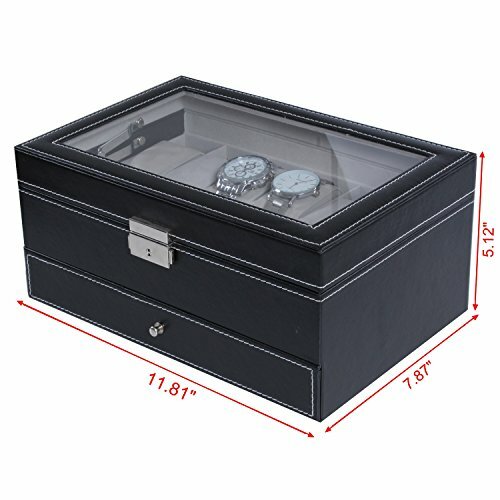 PRODUCT SIZE:11.81″ x 7.87″ x 5.12″(30 x 20 x 13cm), please don’t hesitate to buy the watch box if you are a watch collector. Any question, please feel free to contact us.